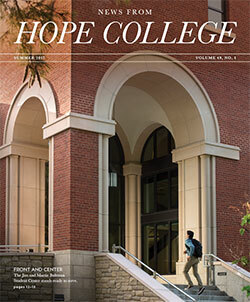 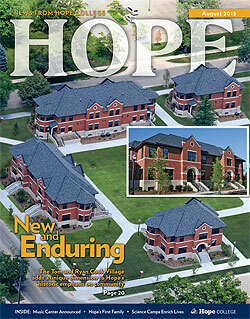 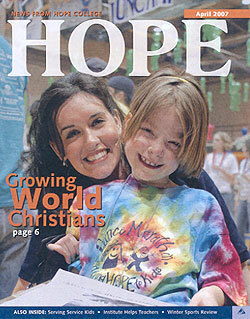 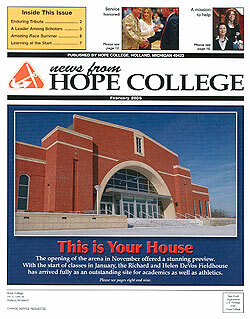 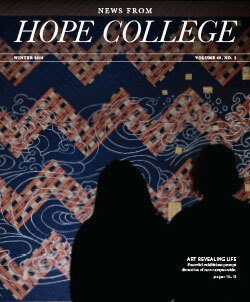 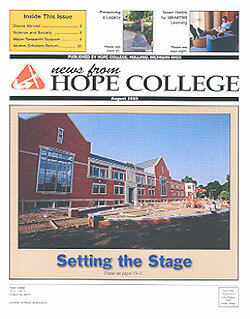 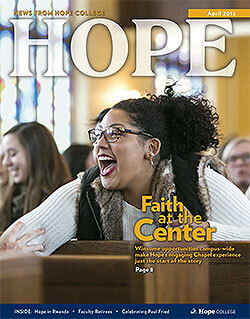 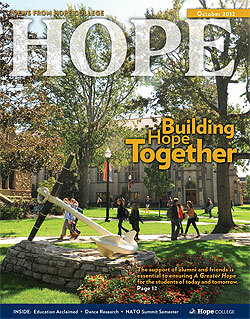 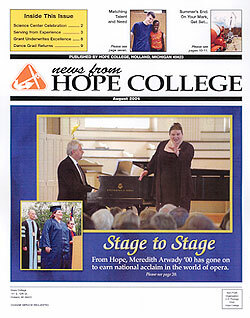 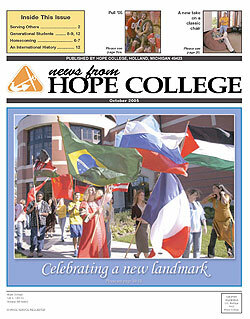 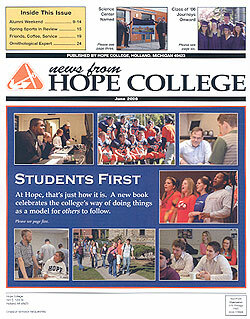 Welcome to the new version of News from Hope College! 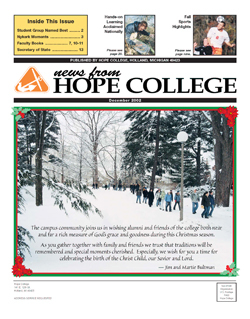 We’re glad you’re here and hope you’ll stay a while. 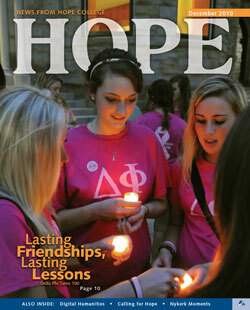 We usually don’t get self-reflective in these pages, because it’s not about us. 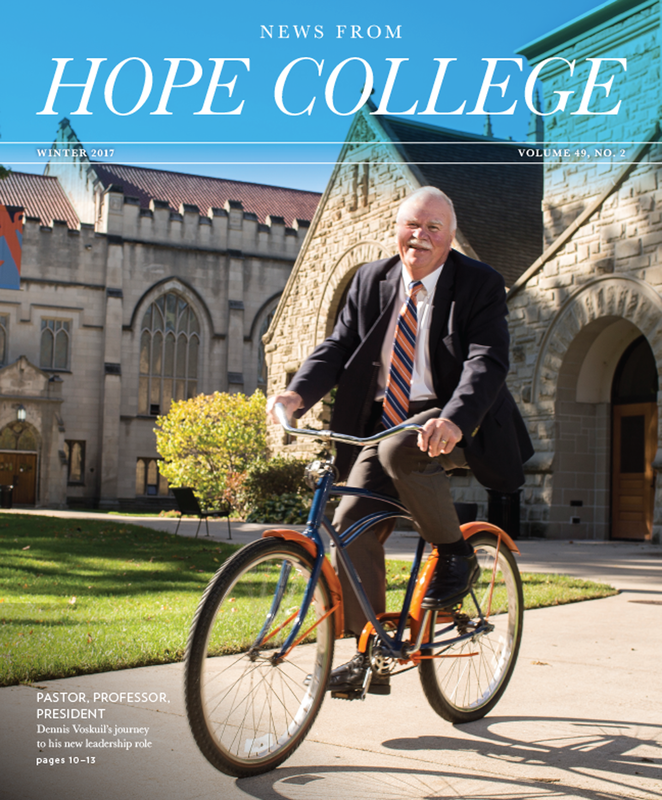 Our feeling is that News from Hope College serves best by putting the spotlight on the college and the people of Hope, celebrating the character and quality of this place we love and the impact that it has on students and, through them, the world. 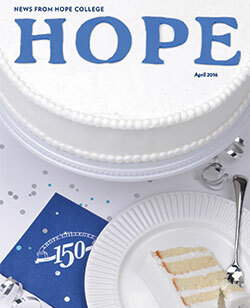 We do that not as an “alumni” magazine per se but a college magazine, meant not only for former students but also parents of students, prospective students, myriad other friends of the college and anyone who picks up a copy and starts to read, so we also try to strike a balance between assuming familiarity with Hope and serving as an introduction to a first-time visitor. 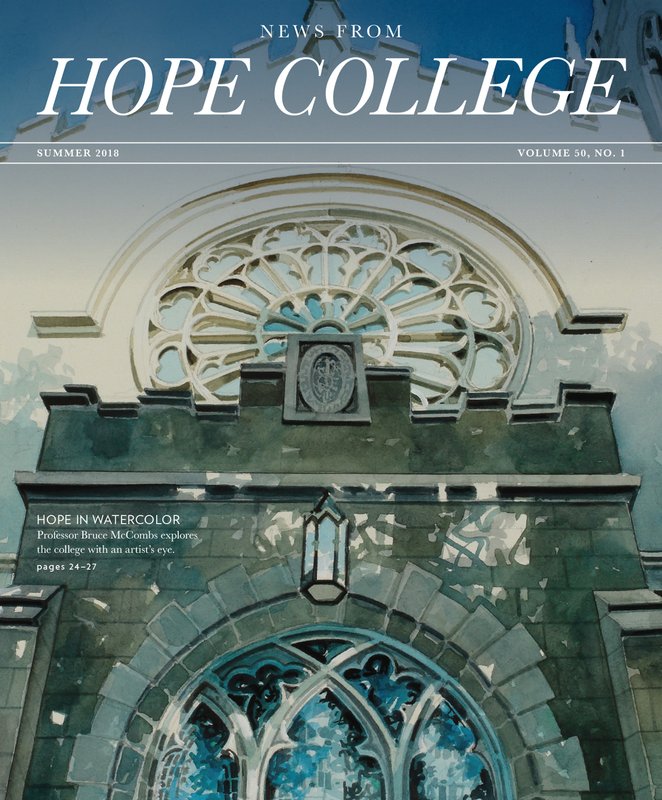 We’re continuing in that vein, but this time we thought we should say a bit about the magazine, since we’ve made some changes that we’re excited about—and hope that you will be, too. 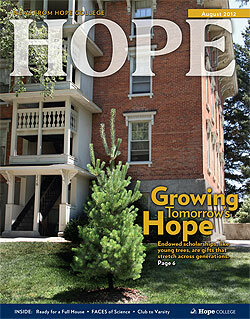 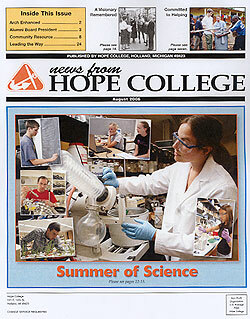 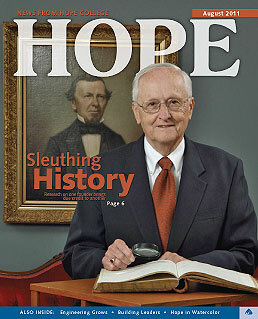 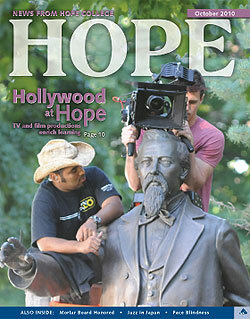 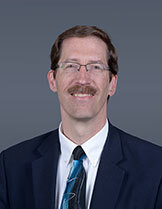 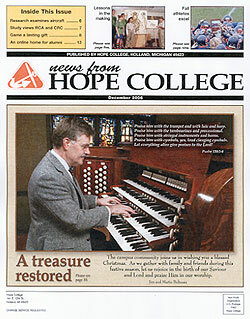 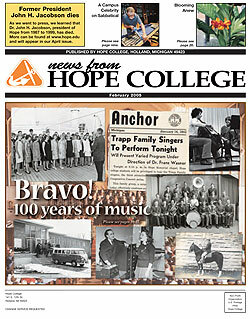 News from Hope College has a rich ancestry. 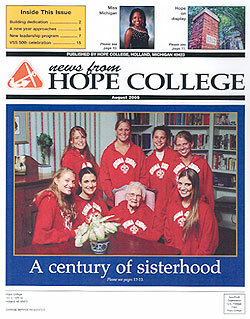 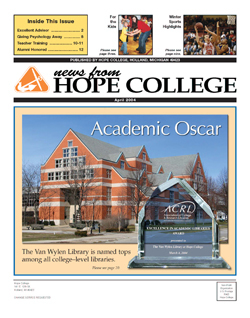 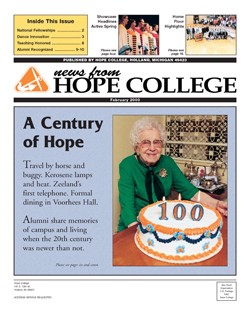 Although the student Anchor newspaper is older (1887), the first official Hope periodical seems to have been the Hope College Bulletin, which began in February 1916 in a compact 5″-by-7″ size to help promote Hope’s semi-centennial. 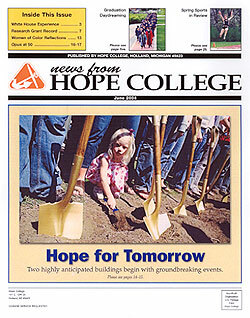 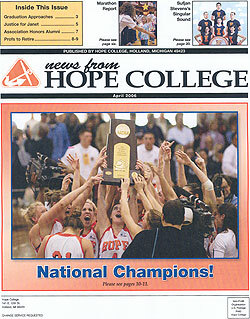 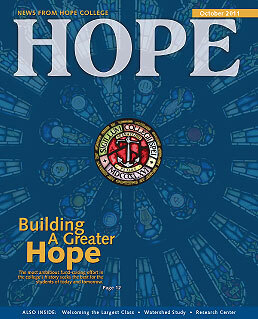 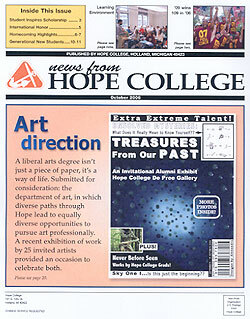 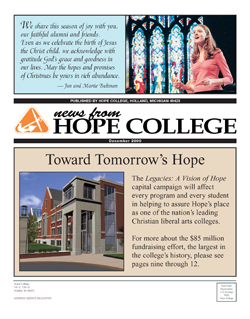 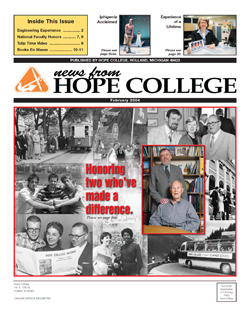 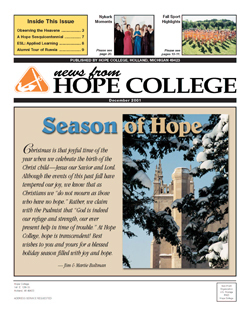 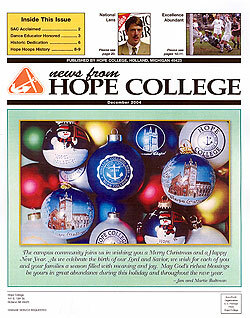 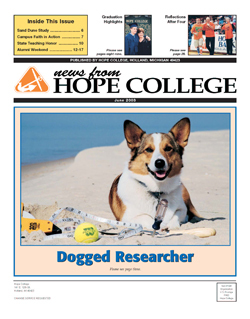 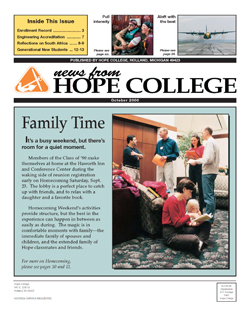 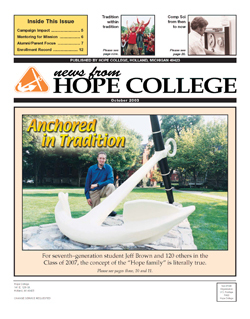 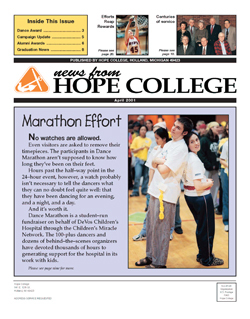 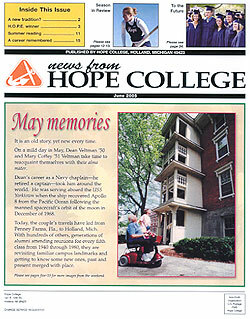 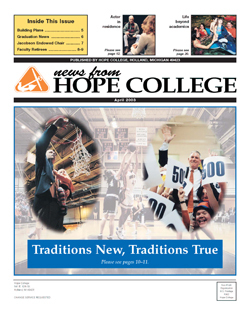 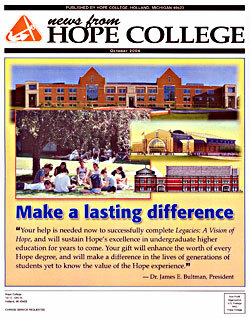 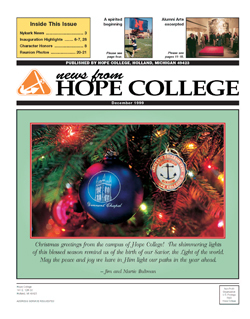 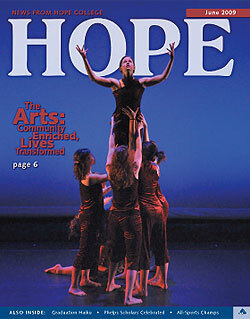 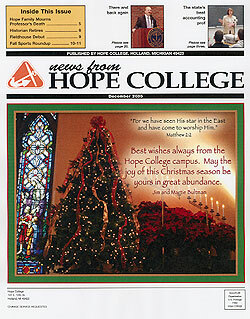 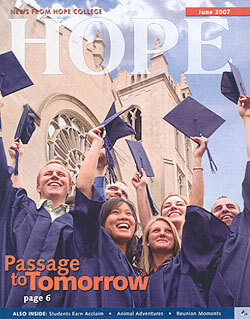 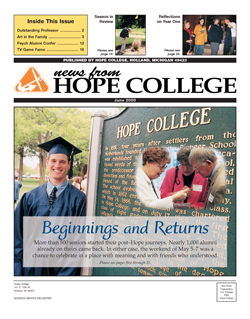 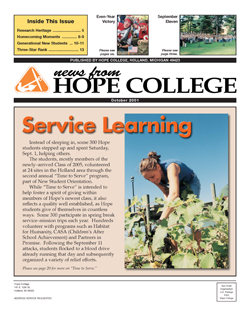 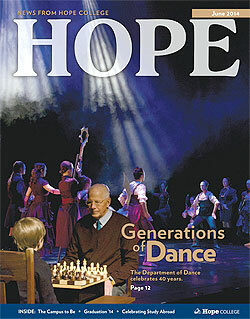 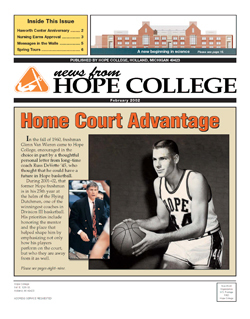 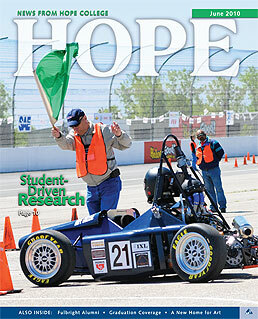 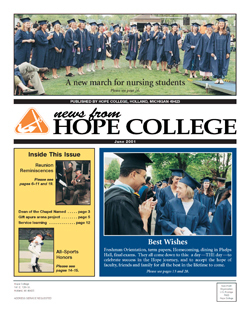 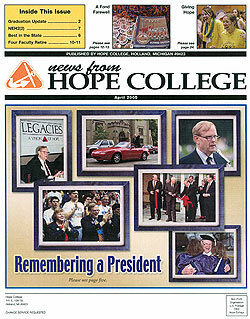 A variety of publications followed as the college sought to connect with the extended Hope family, leading to News from Hope College (initially as The Hope Imprint) in 1968. 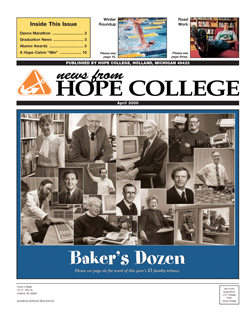 And we continue today walking alongside technologies that weren’t available a generation ago and are even more immediate, like the college’s website and social media. 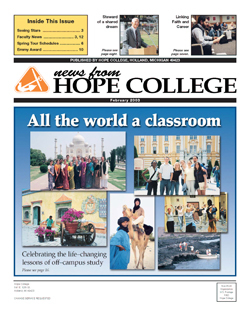 So, why the change now? 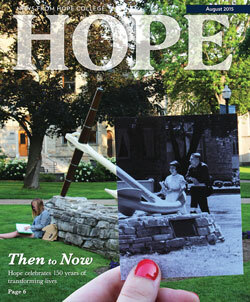 Well, we’ve taken to heart the input of the recent alumni survey. 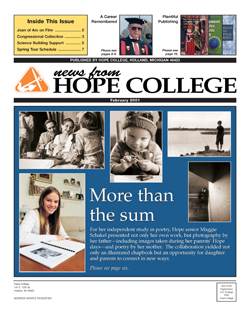 The most obvious effect has been on the size of the publication. 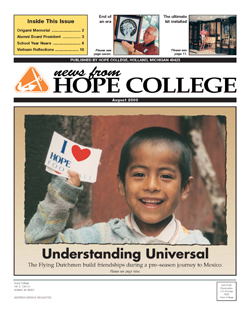 Prominent among the responses we received? 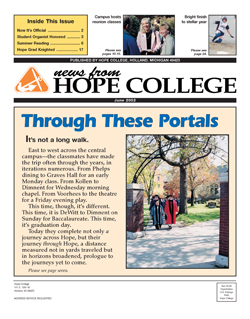 Readers wanted a smaller footprint, finding the larger size a difficult fit in mailboxes, during travel (Yes! 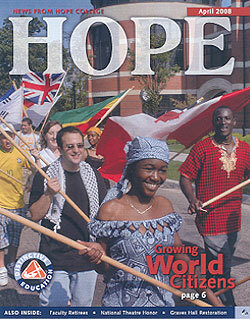 You take us with you!) 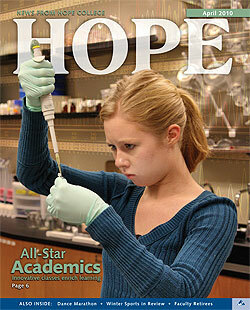 and just generally. 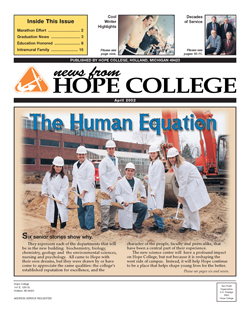 Our former dimensions were a nod to the publication’s long-time history as a tabloid-sized newspaper, and also enabled us to feature photography well. 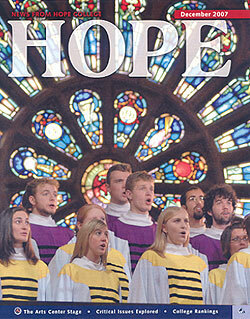 In that latter regard, however, size matters not. 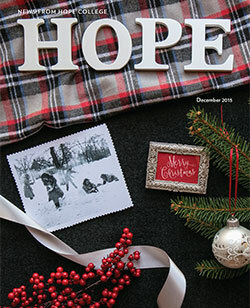 In fact, starting with this issue you’ll see artwork and eye-catching design showcased even more (you’ve had a preview across the past year as we’ve snuck in some of the changes, like full-page photos in “A Closing Look” since August 2015). 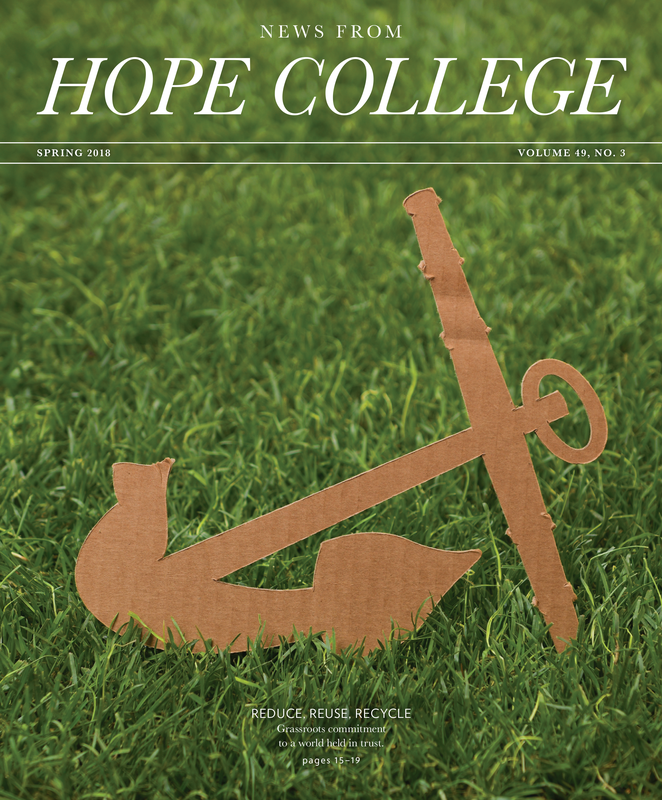 It’s a subtle difference, but our new size also allows us to use a better paper stock, still with recycled content, that prints more clearly—and at a lower cost. 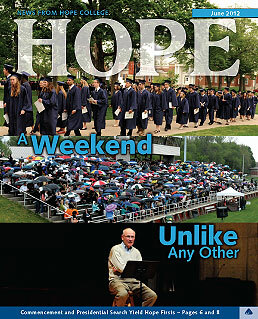 And—or, maybe, especially—text still matters. 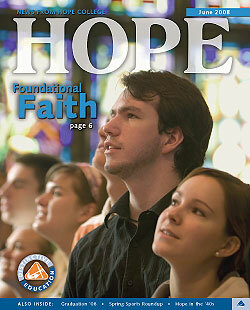 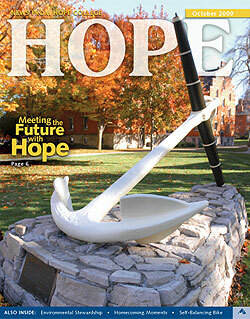 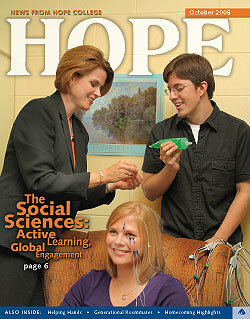 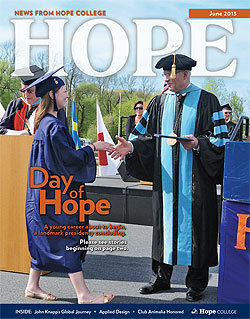 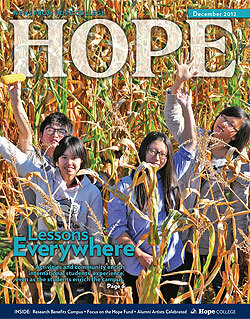 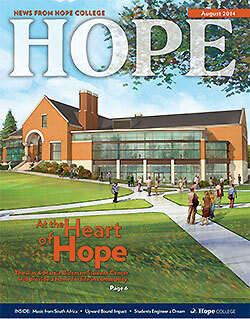 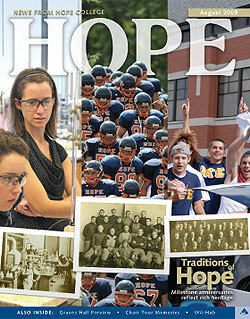 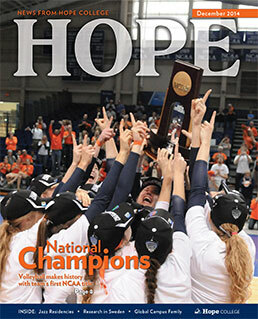 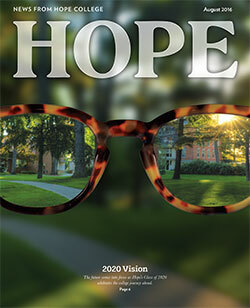 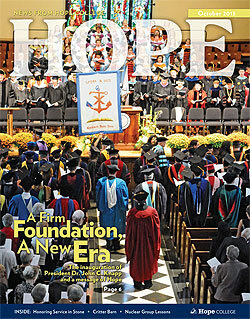 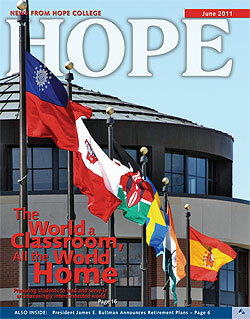 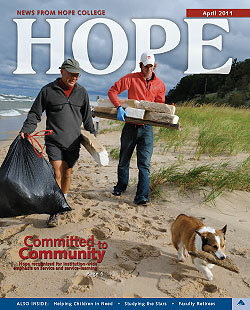 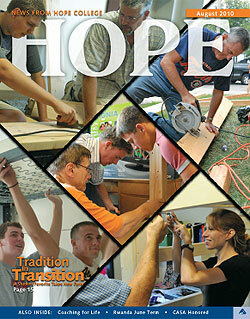 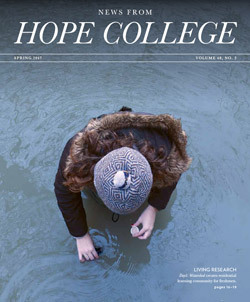 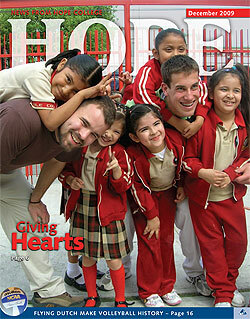 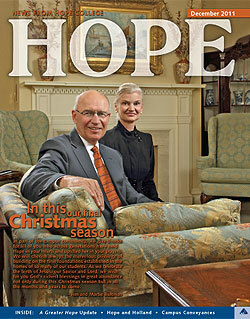 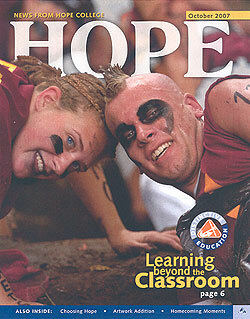 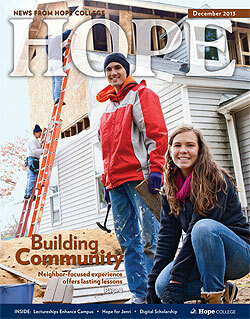 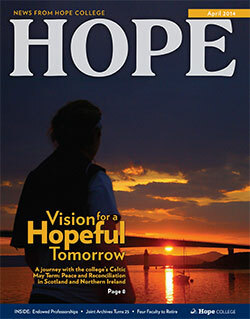 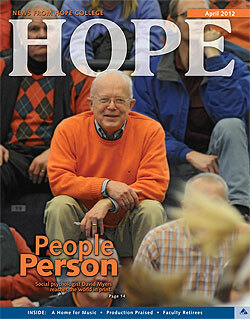 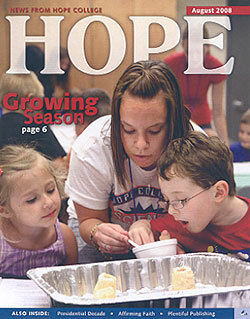 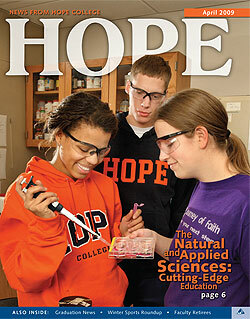 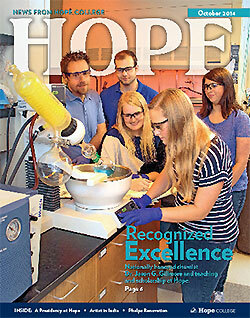 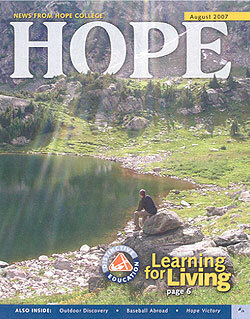 We want to show you not only the surface but the substance of Hope College. 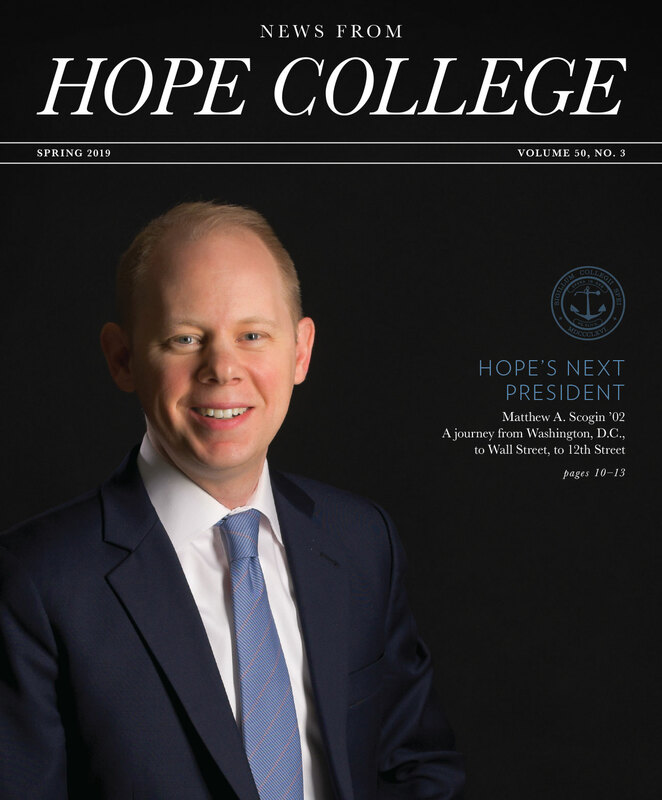 The survey results also indicated that many of you want even more substance, seeking exploration of how this Christian liberal arts college lives into its mission by engaging with issues vital not only to the campus but the world. 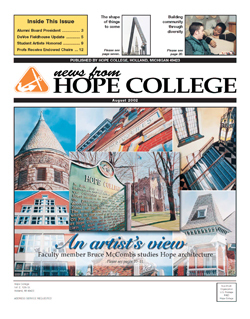 You’ll see the beginning of that emphasis in coverage in Jim McFarlin ’74’s story about Hope’s weeks-long exploration of race this fall, inspired by the exhibitions “Hateful Things” and “Resilience” in the De Pree Art Center and Gallery. 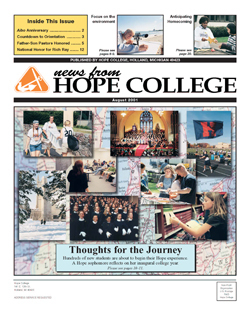 Please look, too, for us to continue across the coming issues to present a mix of features on campus life, students and alumni, faculty research, and general news from and of Hope College, all intended to provide a sense of this place and the difference it makes. 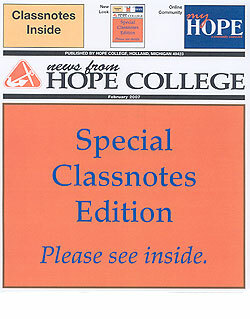 Oh, and also the classnotes. 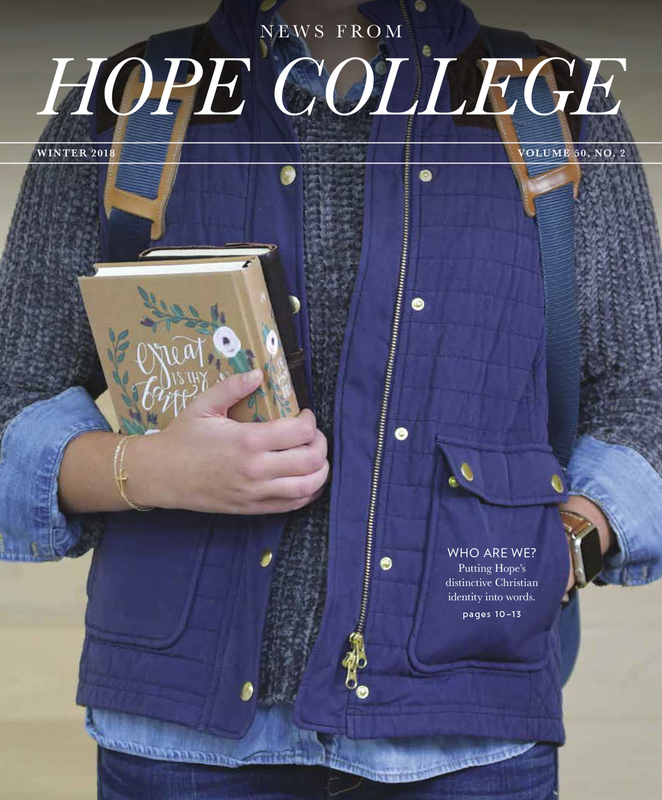 Some college and university publications have done away with them because of lack of reader interest, but our survey found that at Hope they’re still treasured. 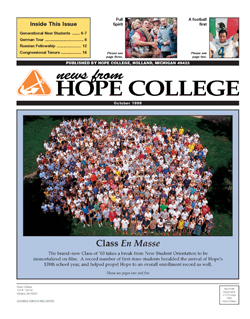 And we completely understand the perspective of those who read that section first—which we don’t mind at all, although we hope that you spend at least a little time with the rest.